Manchester United goalkeeper David de Gea has constantly been linked with a move to Real Madrid over the past three years. The Spanish giants nearly signed our star three summers ago on transfer deadline day but for a supposed faulty fax machine at Real Madrid. Since Jose Mourinho has been appointed by Manchester United the Portuguese coach has rejected any offers from Zinedine Zidane’s side to pinch de Gea. 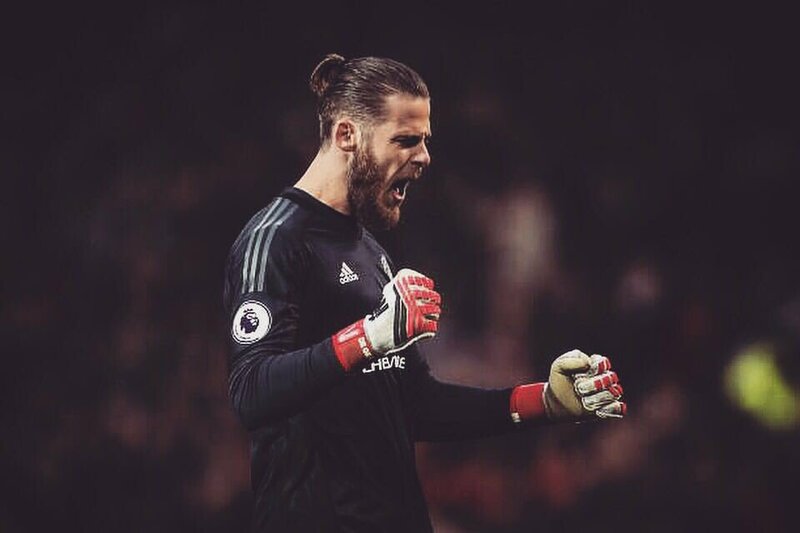 However, the Spanish number one is in the final 16 months of his contract at Old Trafford which is generating speculation that David de Gea could be off over the summer. David de Gea has won the Sir Matt Busby Player of the Year three times over the past four years and is arguably the best goalkeeper in the world right now. Perhaps with that in mind we shouldn’t be surprised to read reports in French outlet Telefoot claiming that Paris Saint-Germain are weight up a big money move for our star. The French Ligue 1 runaway leaders are not afraid to spend their wealth – having signed Neymar for a world record £200 million from Barcelona last summer and with Kylian Mbappe on loan with a view to completing a €180 million deal this summer. Although there’s no doubt PSG could offer de Gea significant wages, moving to Ligue 1 would be a big step down for David de Gea. Its weakness has been shown by PSG’s inability to get past the quarter-finals of the Champions League season after season, and losing 5-2 to Real Madrid in the second round of this season’s competition. Paris Saint-Germain’s first choice goalkeeper Alphonse Areola has kept 15 clean sheets in 27 Ligue 1 appearances this season and they have Kevin Trapp as the backup.